Mary is one of the newest members to the sales team. Mary is from Sharpsville, Pennsylvania and studied Liberal Arts from Clarion University of Pennsylvania. Prior to joining the PC Pitstop sales team, she owned and operated her own bakery, The Bake Shop & Cafe. In her spare time, Mary enjoys spending time doing yoga, participating in the community theater, and spending time with her family. Scott joined the PC Pitstop team, fulfilling the role of a software developer. Scott is located in Bradenton, Florida. He obtained his MBA from Texas A&M University. Prior to working at PC Pitstop, Scott was employed with IBM for 17 years. Scott enjoys spending time with his family at Disney World, collecting comic books, and watching college football. Jay is one of the newest members to PC Pitstop’s software development team. Jay is from Mesa, Arizona and is expected to complete his Master’s degree in Information Systems Management next year through DeVry University. He was previously employed with Alembic Computer Services. In his spare time Jay enjoys playing and collecting guitars, fishing, camping, and golfing. 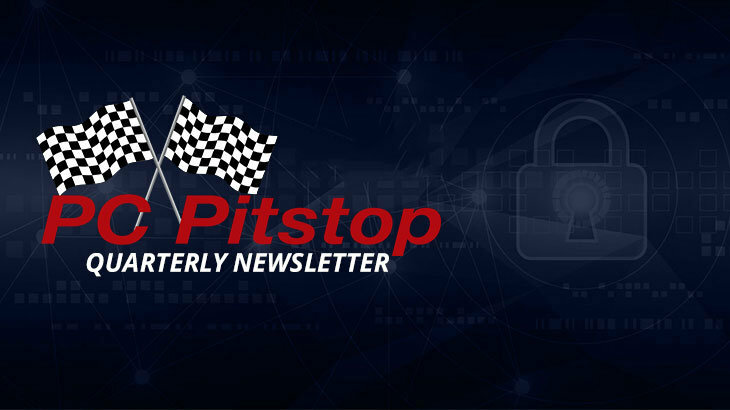 Bob joined the PC Pitstop team towards the end of Q3, as the Director of Channel Sales. Bob is from Leawood, Kansas and has a Bachelor’s degree in Accounting. Prior to joining the PC Pitstop team, Bob was employed with Ingram Micro, Avaya, and Alcatel Lucent. In his spare time Bob enjoys playing sports, refereeing soccer, and coaching. Jeff is one of the newest members of the PC Pitstop software development team. He currently resides in Richboro, Pennsylvania, and is attending Western Governors University to earn his Master’s degree in Data Analytics. Prior to working at PC Pitstop, Jeff was employed at Samsung Techwin for 17 years as a consultant. In his spare time, Jeff enjoys spending time sailing, listening to vocal jazz, and doing karate. He also enjoys spending time with his wife, two daughters, one granddaughter and three rescue dogs. Q3 2017 Newsletter new hires. permalink.